More recently, reports surfaced indicating that Apple was still planning on releasing three brand new iPhone models, an iPhone 7s, an iPhone 7s Plus, and a newly redesigned iPhone dubbed the iPhone 8. This of course never made much sense given that releasing an iPhone 8 alongside an iPhone 7s would not only cause widespread confusion, it might also stifle overall iPhone sales. After all, who would want to buy an iPhone 7s when an iPhone 8 is already out on the market. In case you missed it, a report from Macotakara earlier this month relayed that Apple’s flagship 2017 iPhone — the one with the edgeless OLED display — won’t be called the iPhone 8, but rather the iPhone Edition. If accurate, this is a smart move on Apple’s part given that the ‘Edition’ moniker is a great way to differentiate its flagship and more margin-friendly iPhone model while not making the iPhone 7s and 7s Plus models seem like yesterday’s news. 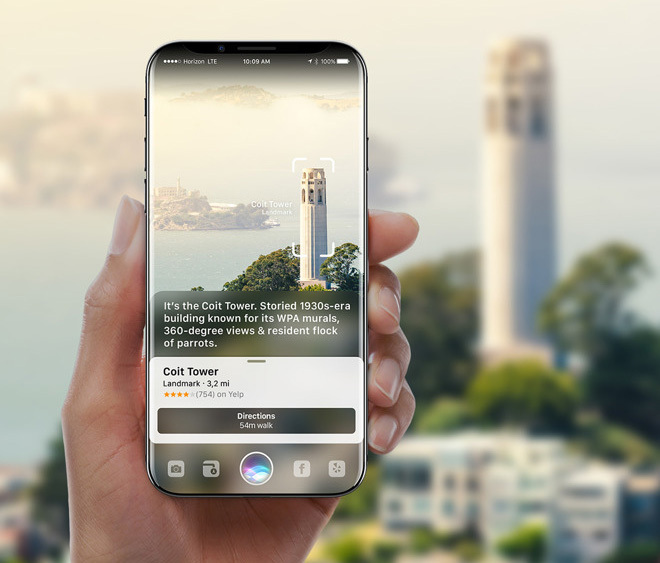 As a final point, some additional iPhone Edition rumors we’ve seen point to enhanced internals, improved Siri functionality, facial recognition software, and last but not least, a new facial recognition technology which may be a part of Apple’s big push into Augmented Reality.